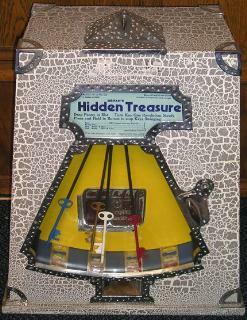 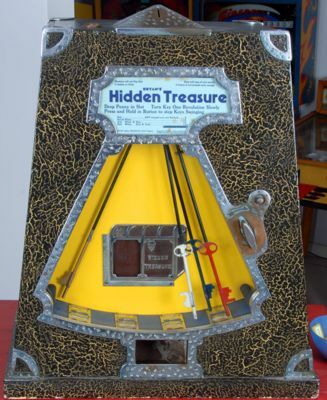 Bryans Pendulum Games, Tick Tock, Hidden Treasure, etc. 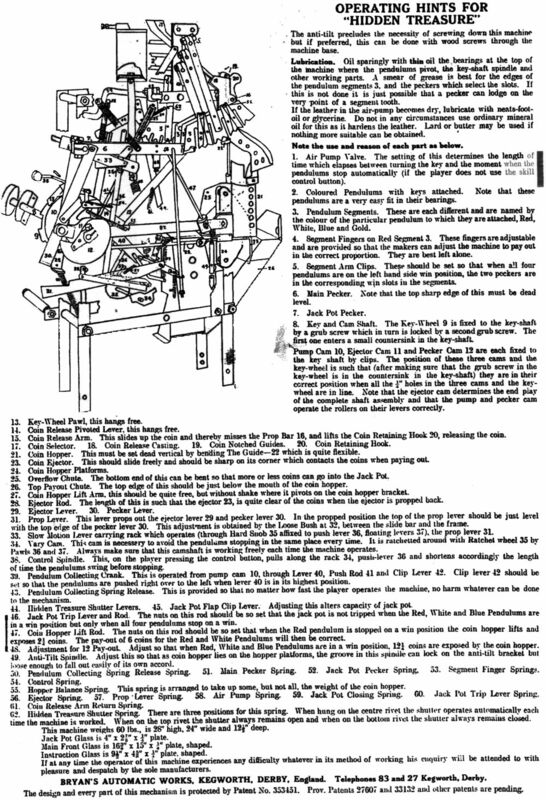 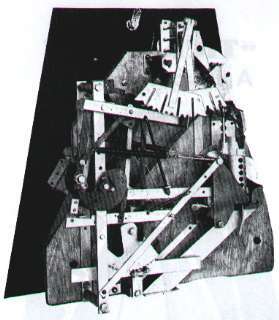 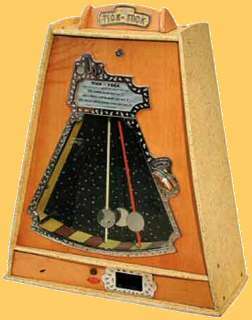 A variation on the Spinning Dial type of game was the Swinging Pendulum. 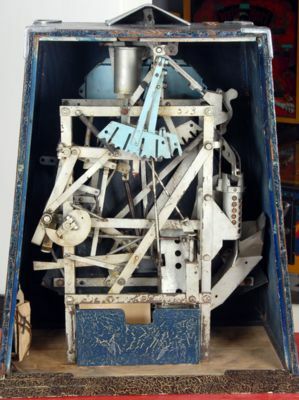 A number of pendulums would be set swinging freely. 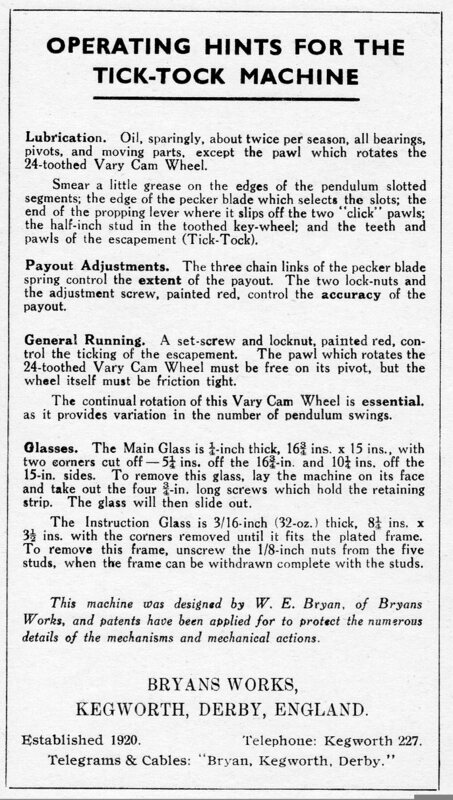 They would all be stopped suddenly in mid-swing, and the machine would pay out depending upon the positions in which the pendulums came to rest. 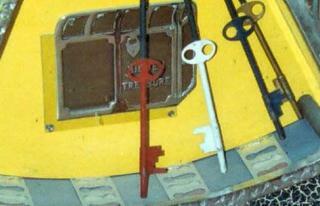 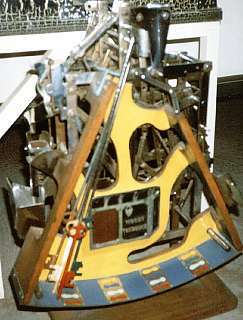 Right: The internal mechanism of the Tick Tock. 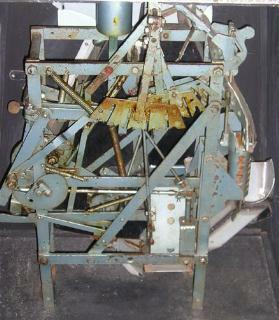 The position of the pendulums is detected by the swinging sectors near the top of the machine. 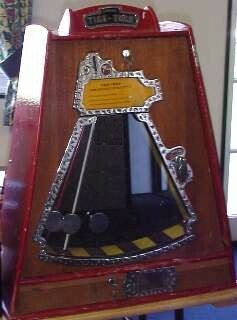 These control the height of the payout slide. 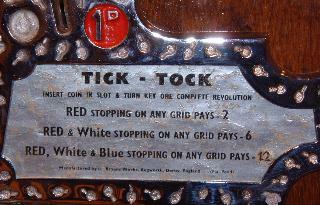 The rocking bar which produces the Tick Tock sound is near the bottom.